The Chart Chick: How much can you fit in a month? How much can you fit in a month? First I got to go to the National Genealogical Association Conference in St. Charles Missouri. It was a great venue and of course lots of good people to talk to. 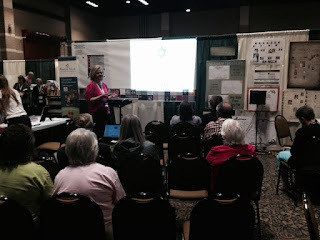 We did our Outside the Box sessions in the vendors hall and I got to talk to lots of people about charts they wanted to create for their family reunions this summer. It was a quick trip but very productive. And then we took off on an actual family vacation of our own. Thanks to these wonderful ladies we were actually able to really get away. Erin, Christine and Wendy took wonderful care of our clients while we were gone. That takes alot of trust. I'm so thankful for these ladies. We are so blessed to have them. And where did we go? Family History sites of course. We started at Niagara Falls and worked our way around the great lakes region, down into Illinois and up to Wisconsin where Kim grew up. We got to see several sites where my ancestors lived and worked in New York and Ohio. This is me in front of a house one of my ancestors built in 1843. There was actually a store in the part of the home on the left side of the picture. My mother's ancestor who built the home was in business with one of my father's ancestors here. How cool is that? And then we took the kids to see where my husband Kim grew up in Wisconsin. None of them had been there since they were babies, so they had no memories of it. It was so, so cool to teach my kids (and remind myself) about where my husband came from and the forces that formed his early life. I gained a much greater appreciation of who he is, and how far he has come and I think the kids did too. We taught the kids about their grandmother who died shortly before my daughter was born. We are so grateful now that we took the time to record her 40 page oral history shortly before her death. While we were reading that history on the trip, my kids were excited to find out that she ate chocolate and coke for breakfast while she was in High School. They learned alot of other things too of course, like her love for antiques. We took the kids to a store where she had sold antiques and immediately they became antique hounds too. It is funny how apples fall so close to the tree, even when they hadn't been exposed to that much before. A really special time on the trip was when we got to go visit Kim's mother's grave. My kids had never been to their grandmother's gravesite. Kim got to clean the gravestone and we talked and had some moments of reflection there. It was really sweet to say a prayer at that site sacred to our family. Such a family bonding moment for all of us. The property that Kim's grandparents owned and where he lived for a time is now a motel and RV park so we actually stayed on the same property while we were there. So cool! It is a beautiful area and I can see why Kim misses the beautiful lake he grew up on. I think Kim enjoyed showing us around and I don't think it will be so long before we go back again next time. Then, 24 hours after we got home, my son Matthew and I took off for the Southern California Genealogical Society conference in Burbank, CA. One of my favorite conferences (more on that in the next post) I have taken one child with me every year for the past several years. This year was Matthew's turn and it was even better since they had asked him to speak. We had a good time, just the two of us. We checked out the Aquarium in Long Beach before the conference, were able to hit a few DNA sessions and then set up for the conference. Matthew was a great help at the booth. It was nice to know things were taken care of while I gave my lectures and talked to some of our partners. I really appreciate how everyone is so welcoming to him when he helps us out at conferences. And of course he nailed his "Get to Know Your Geezers" lecture. It was livestreamed and in it he mentioned that you could use Elizabeth Shown Mills' book Evidence Explained to cite numerous sources--even a can of soda or the Declaration of Independence--and it has a "great plot". Someone told her about that on facebook and she got a good laugh from that. I'm just stinking proud of him no matter what sources he's citing. It was a whirlwind but oh so fun. I came back home to family reunion season in full swing so it has been busy busy busy. But I love it. This is what I've chosen and my life is awesomely full. 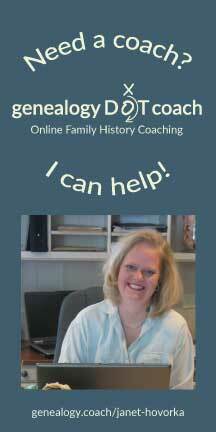 I am so blessed to get to work with and work for genealogists. We've been creating some amazing charts for people already this summer. 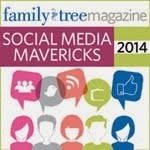 Let me know when we can create one for your family. Whew! You really have been busy! But it sounds like the fun kind of busy, which is awesome! That's so cool that your son Matthew taught a class at the Southern California Genealogical Society! Certainly a proud mom moment! Oh, and I love the name of his class.